50 million people today are enslaved to make our food, fashion & technology. 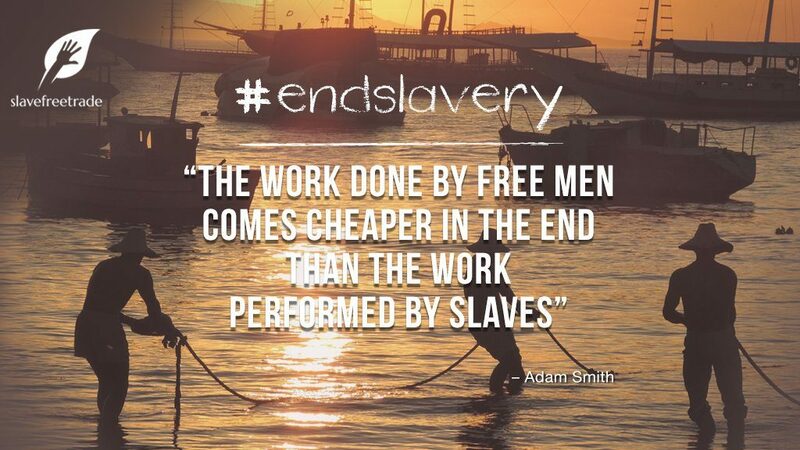 slavefreetrade aims to end modern slavery using consumer power & block chain technology. We have interviewed Helen Burrows, co-founder of slavefreetrade, to learn more about her background story, how she started slavefreetrade with Brian Iselin, her advice on starting your own nonprofit, charity or social enterprise and the future she hopes to create through her work at slavefreetrade. Helen: “I grew up in the Welsh valleys and currently live in Malta after stints in England and Australia. 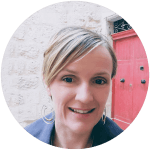 I’m a mother and a lawyer who has known from a young age that the world can be an unfair place. Having witnessed the insanity and cruelty of apartheid in South Africa as an 11 year old, I knew, and committed that my life would be about bringing fairness. Q: What was the inspiration for starting slavefreetrade and how did you get started? Helen: “I co-founded slavefreetrade with Brian Iselin as an expression of my commitment to humanity and fairness. While I have worked on many human rights projects over the past 20 years, the concept behind slavefreetrade was Brian’s idea. As a former soldier and Federal Agent, he spent 15 years wading through the people injured, or worse, making the things we buy. We both saw the futility and failure of the anti-slavery movement to reverse the spiraling numbers of people trapped in slavery – driven by inaccurate identification of its causes and our unquenchable thirst for quick and cheap stuff. Business must be at the table to account for and eliminate slavery in their supply chains. And consumers must know that it’s there and demand slave-free goods and services.Without that, nothing will change, ever. We got started by building a team of amazing experts from a multiplicity of disciplines who share our values. As we defined and sharpened our approach, we created more partnerships and alliances committed to providing the wind beneath our wings. Q: What are your happiest moments with slavefreetrade? Helen: “My happiest moment was my first conversation with Brian when he shared his idea and asked me to join him. I understood the magnitude of our undertaking and appreciated the blank canvas we were to paint slavefreetrade on. It was deeply exciting. And it has been a hugely fulfilling experience every day since. Developing our slave-free verification framework was a big moment too. Realising that we had created the world’s first tool to eliminate slavery – that revolves around workers, makes sense, is logical, connected, comprehensive and ultimately, REAL. Q: What future do you hope to create through your work at slavefreetrade? Stop buying so much stuff. Rampant consumerism is a key driver of slavery. Reuse, recycle and check your needs. They’re not as great as you might think. Support slavefreetrade, either as a member of our team, by donation, or joining our social media networks. Look out for our consumer app which will connect you with verified slave-free goods. Demand brands eliminate slavery and exploitation from within their supply chains.